What is a Mississippi Non-Compete Agreement? Mississippi Non-Compete Agreement: What Is It? 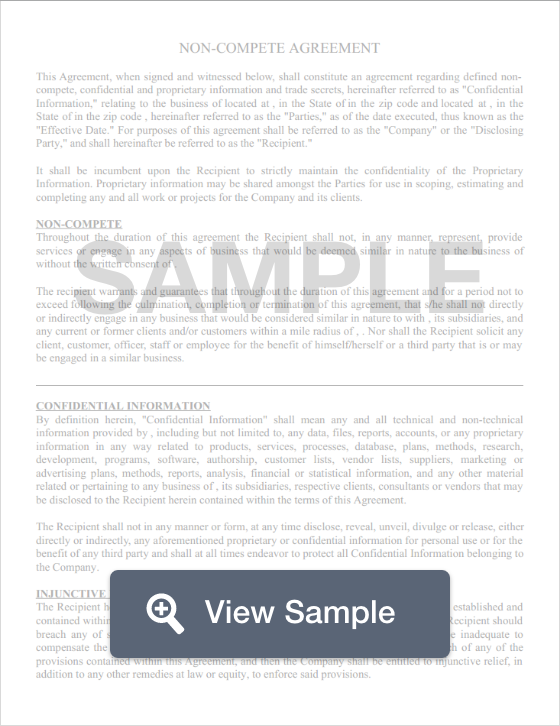 A Mississippi non-compete agreement is a legally enforceable document that employers use to ensure that their trade secrets are protected from being leaked to competitors. Employers do this by having their new hires, contractors, and key personnel sign a non-compete agreement that promises that once the individual's employment ends or is terminated, he or she will not engage or work with any competitors for a period of time within a geographic region. Although the specifics may vary, non-compete agreements should be taken seriously, as violators may face fines, penalties, and even jail time. Although Mississippi has no specific laws that govern non-compete agreements, these agreements must use valuable consideration when being drafted. If an agreement poses a greater hardship than what is necessary, the agreement runs the risk of the agreement being nullified.